One of our latest projects for Knights Brown has been the design of a new Values Identity. Knights Brown officially launched its new company name and brand identity on 1 September 2017*, along with a new website and values and, ever since, we’ve been supporting them in designing a large array of internal & external marketing and communications materials! Working with employees, Knights Brown defined its guiding principles and values to relate directly to how they treat each other, those they work with, and how they make decisions. This work was carried out as part of the re-brand, but the values didn’t yet have an identity. 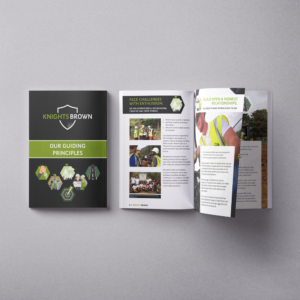 Glow was tasked with creating an identity for Knights Brown’s Values, something to help employees identify with the values and ensure consistency when talking about them. The new identity follows the brand guidelines, also created by Glow, using the Knights Brown colour palette. 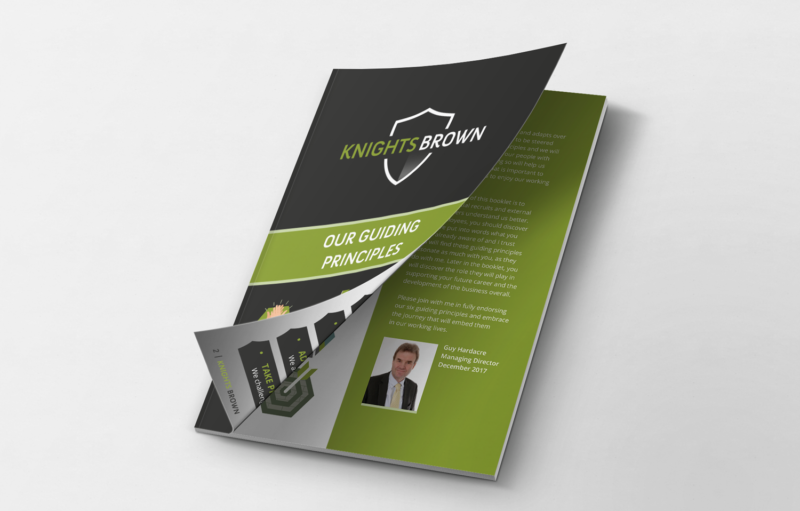 Glow has created an icon for each of the six guiding principles which have then been used to design a Guiding Principles booklet for Knights Brown employees. This is just the beginning of embedding the values across the organisation, so watch this space for more projects being announced soon. 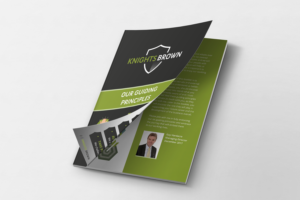 *Read our first Knights Brown blog to find out more about the new brand and identity.